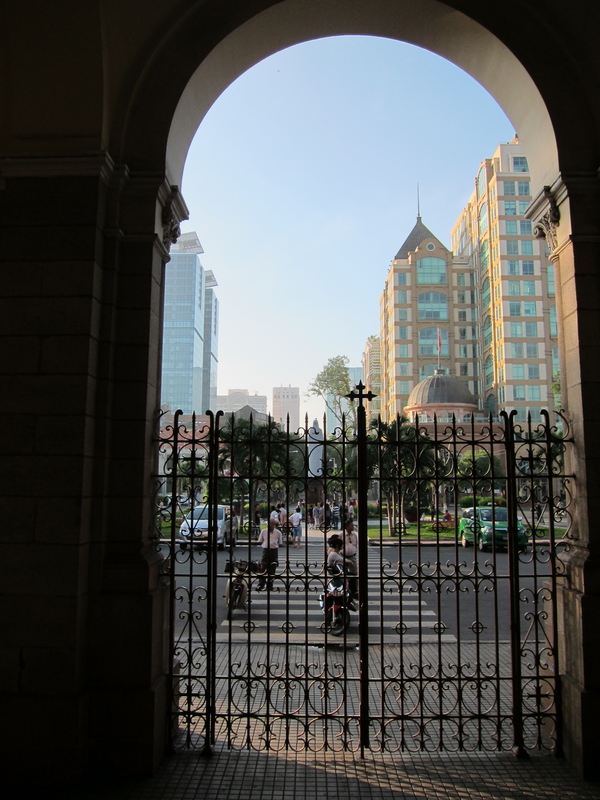 The morning we left Saigon for the Mekong Delta, my travel companion and I rose early (4:45 am) to get to the 5:30 mass at Notre Dame Cathedral. We went partly because she’s Catholic, partly because you cannot access the interior unless mass is in session, partly because it was a good excuse to see Saigon early in the morning. Vietnam is an early rising country, though Hanoi, the older sibling, is more committed to it’s early to bed, early to rise philosophy. 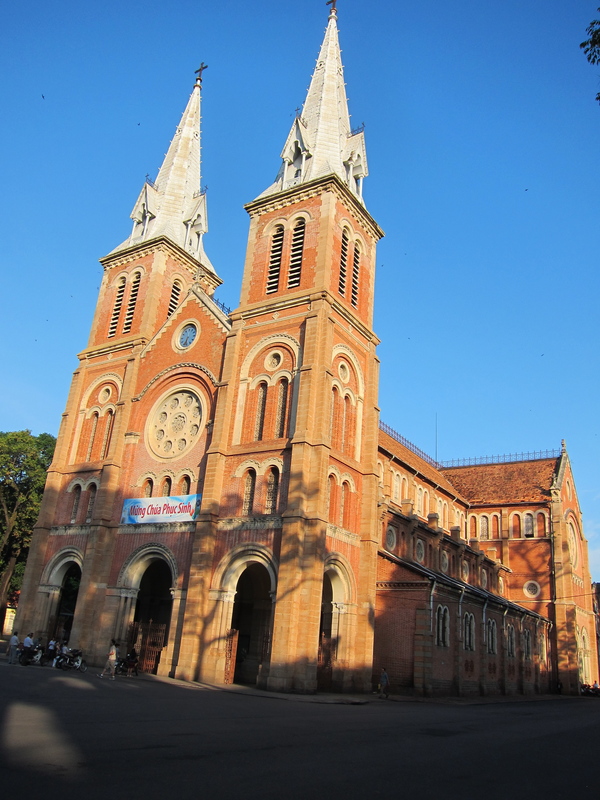 Built by French colonizers between 1863-1880, Notre Dame Cathedral sits facing the Saigon River in middle of downtown Saigon. Notre Dame was built on the site of a pagoda that had been abandoned; Bishop Lefevre determined that the pagoda should be replaced by the cathedral. All the building materials were imported from France, including the red bricks of the exterior, which came from Marseille, a testament to the change the French left on their colonies. 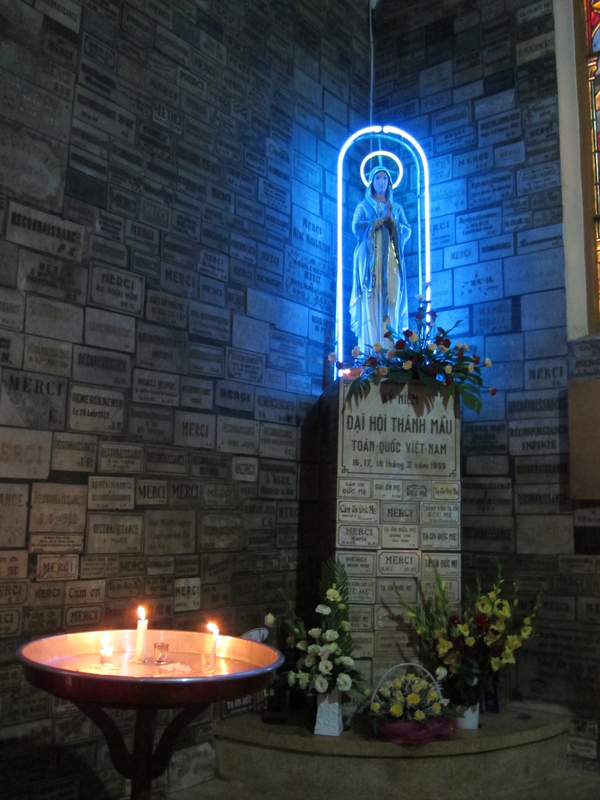 Our Lady of the Neon Lights–only in Vietnam. 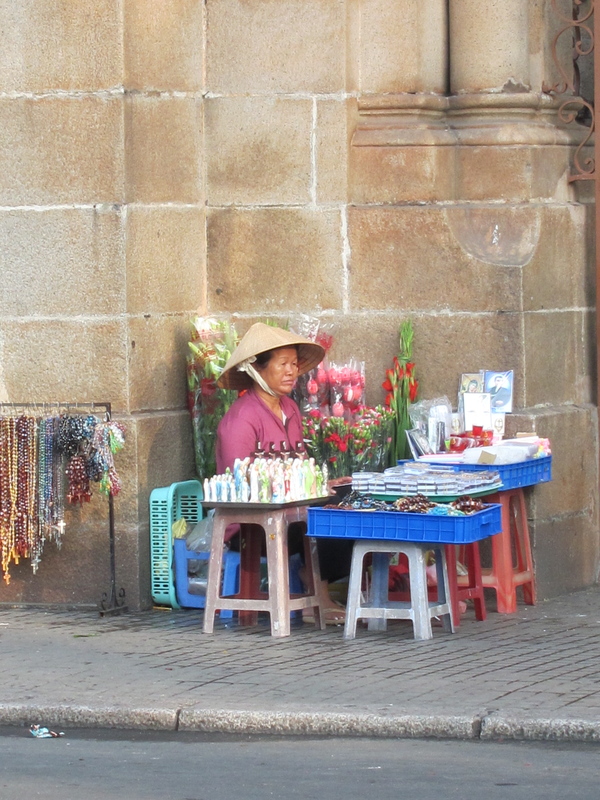 Just outside the Cathedral’s iron gates, this woman sells flowers and jade (plastic?) figurines of Virgin Mary. The red plastic stools are a funny juxtaposition against the French stonework. I’ve seen this in Hanoi, too. 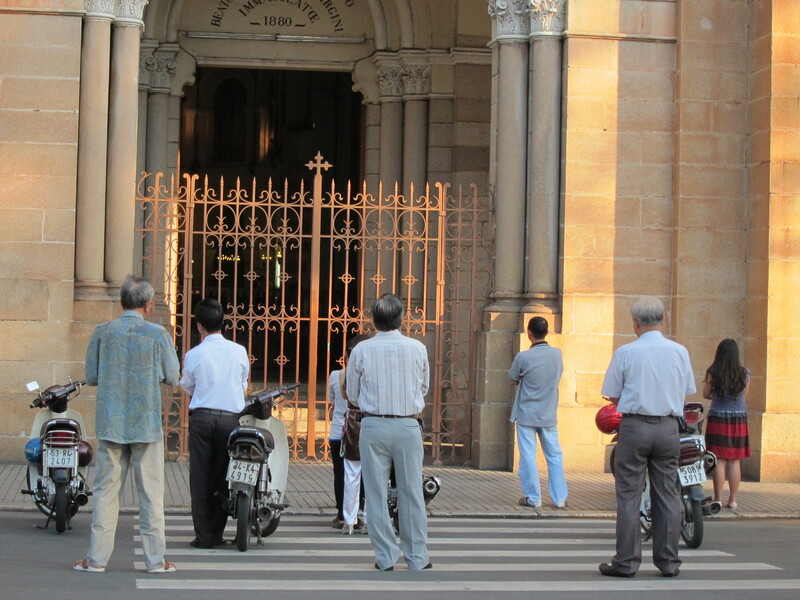 During evening mass at St. Joseph’s Cathedral, people park their motorbikes and use them as benches to listen to the service as it is broadcast over loudspeakers.